1. Make sure potatoes are pre-cooked by boiling for 15 minutes. 2. Drain oil from tuna into a bowl. Set tuna aside. 3. Add to the oil from the tuna can, vinegar, oregano, S&P. Mix dressing well. 4. Mix greens with potatoes and green beans. 5. Add raw vegetables, tuna and dressing. 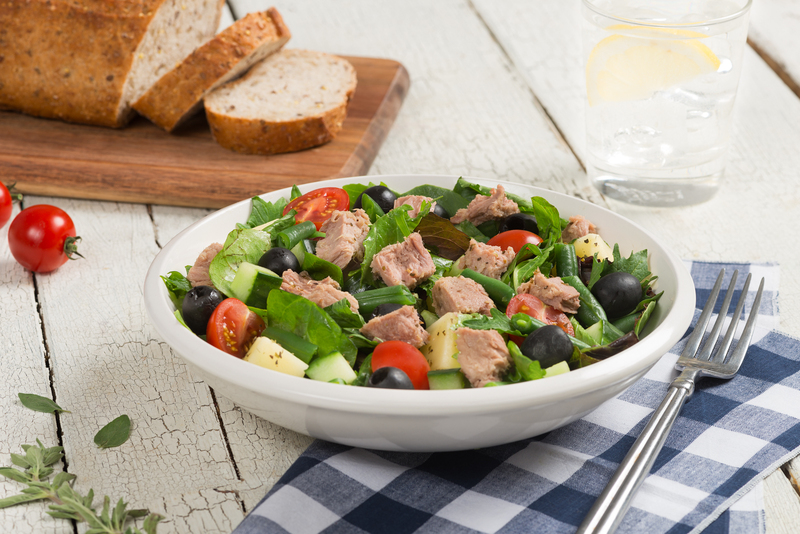 This Italian Tuna Salad is an easy lunch or dinner option when you’re limited on time or on the go. Toss everything together in one big bowl and enjoy!